Hi there! 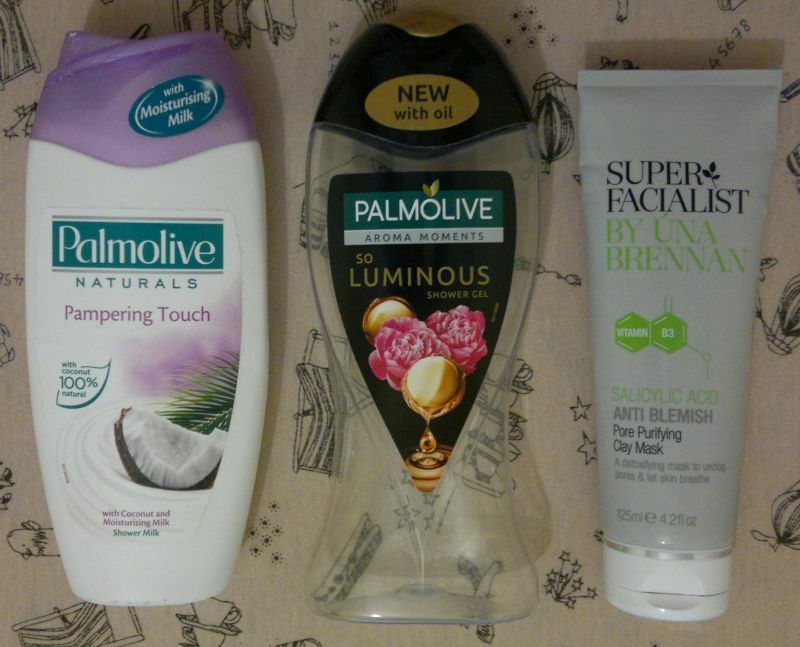 It’s the 1st of March – this means that it’s time for my February Empties post. I’ve used a number of single-use face masks. As always, I didn’t keep the empty sachets. 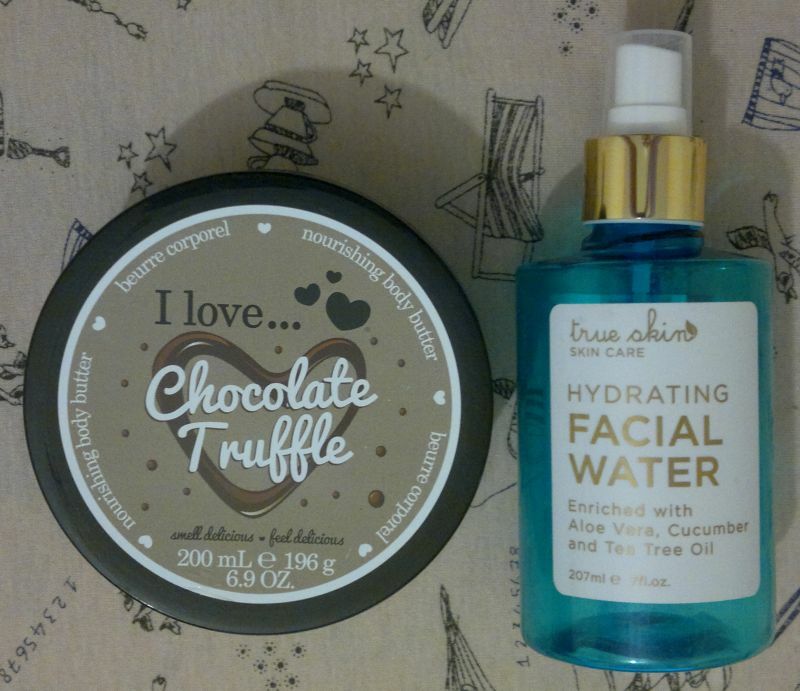 But you can click here if you want to read about my latest face mask finds. Another thing – I achieved something big! What? Well, over the past 2 weeks, I managed to finish 3 lip products! Wow! 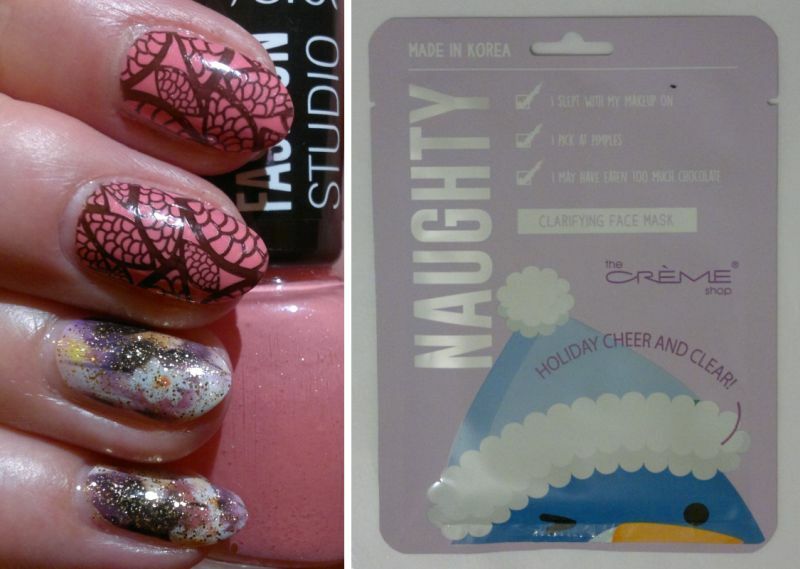 Anyway, read on if you’d like to know which products I finished between 1 and 28 February! 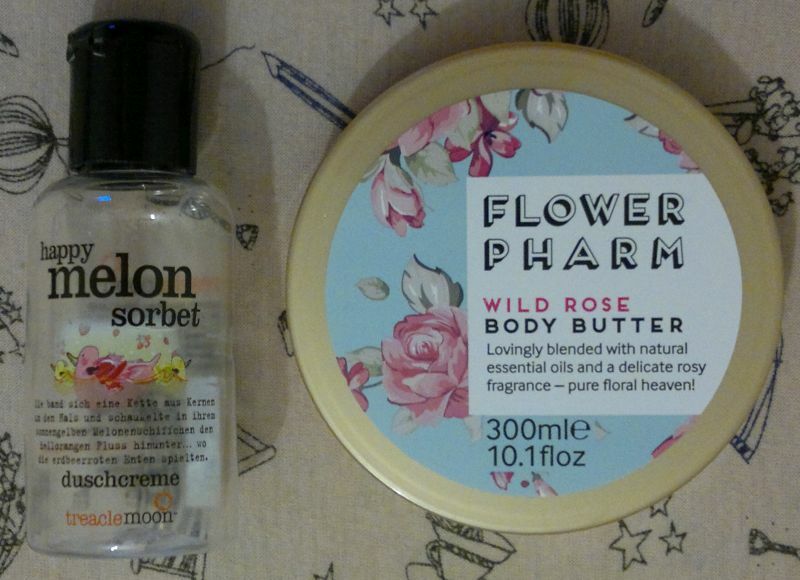 1 Treacle Moon Happy Melon Sorbet (travel size) – one of the best shower gels ever! I hope Treacle Moon makes this available in 500ml bottles! Pretty please! 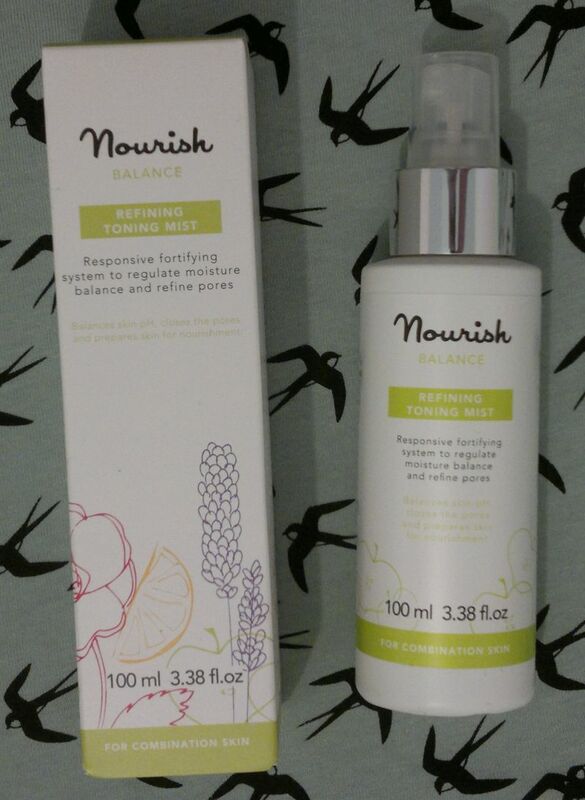 3 Garnier Skin Active Nourishing Botanical Cleansing Milk – this is a disappointing product. I wouldn’t buy it again. 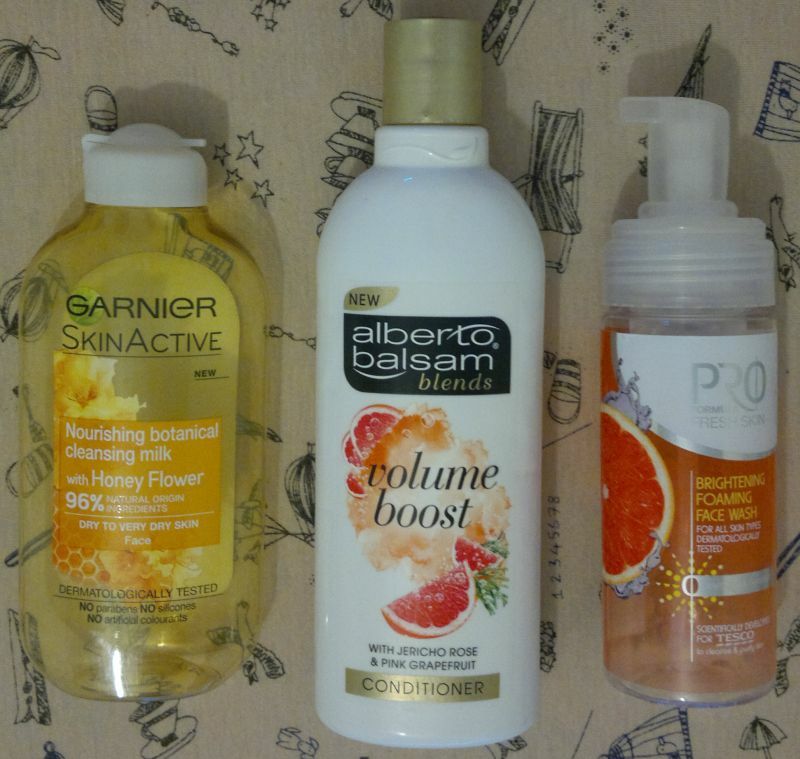 4 Alberto Balsam Volume Boost Conditioner – this is a fantastic conditioner that I will buy again. If you’re wondering what happened to the matching shampoo… whenever I finish a conditioner, I pass the matching leftover shampoo on to my husband, and I start with a new shampoo and conditioner combo. 5 Tesco Pro Formula Fresh Skin Brightening Foaming Face Wash With Grapefruit & Cranberry – a nice face wash. But I wouldn’t repurchase it because I have too many face washes in my stash. 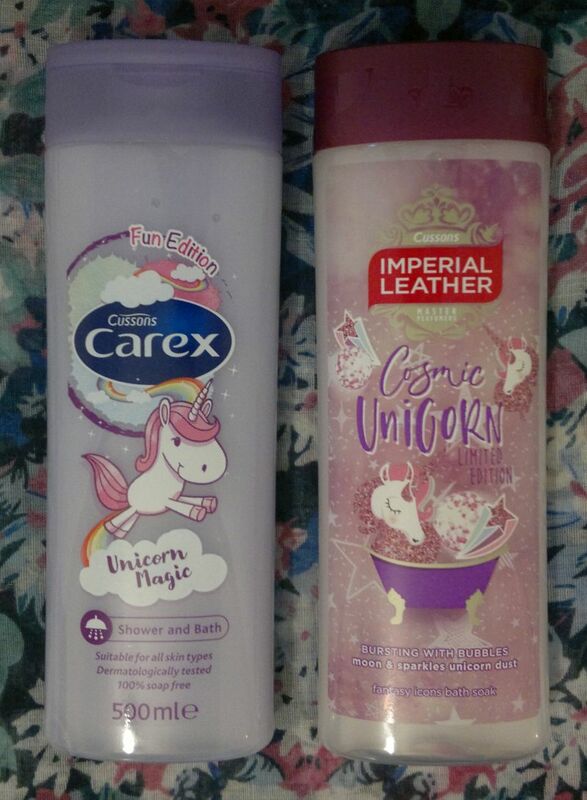 6 Carex Fun Edition Unicorn Magic Shower And Bath – a nice shower gel. I might buy it again. 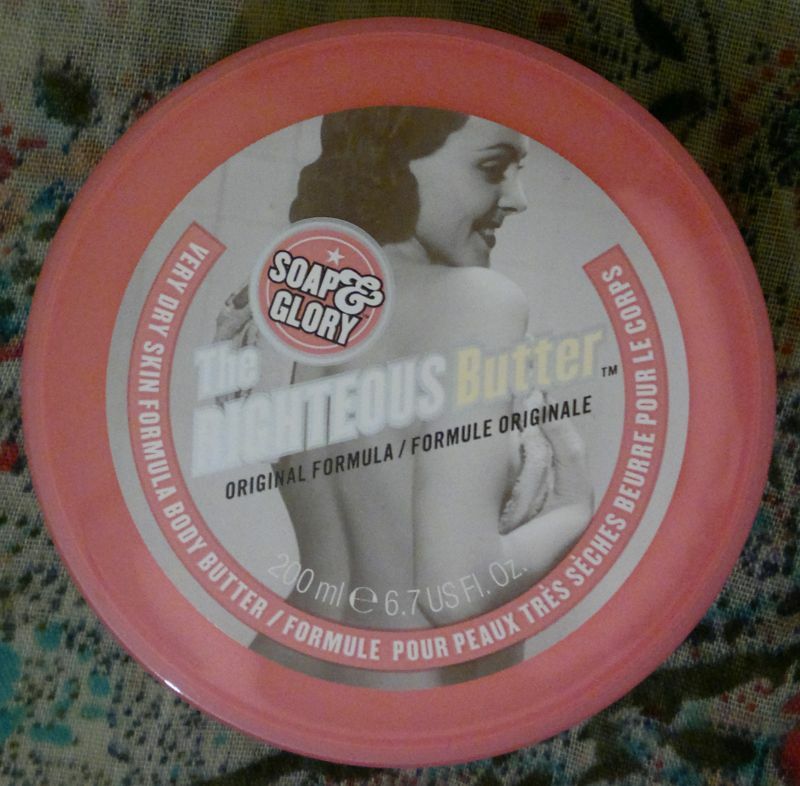 7 Imperial Leather Foamy Banana Bath Cream (x2) – yes, I bathed a lot in February. I had a cold, and those warm baths really helped. 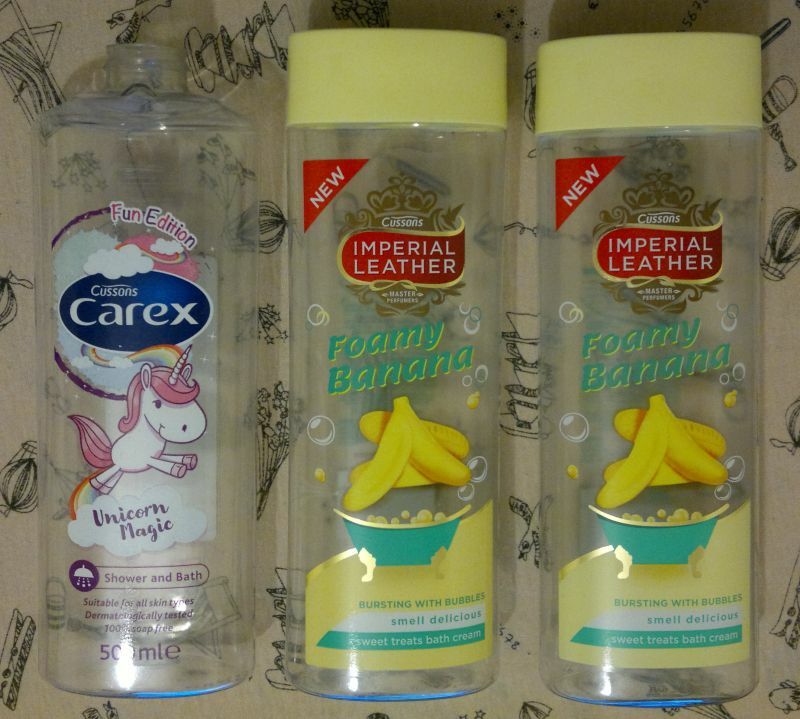 Anyhoo, Imperial Leather’s Foamy Banana products are simply wonderful. I need to stock up! 9 Freedom MakeUp London Pro Lipstick Bare 115 Mannequin – I liked the colour, but all in all, this was a low quality lipstick. I wouldn’t buy it again. 10 Manhattan Cosmetics Soft Mat Lip Cream 95G – another unloved lip product that I’m glad is finished. I wouldn’t repurchase it. 11 Vaseline Intensive Care Hand Cream + Anti-Bac – this is a nice hand cream. I have plenty of hand creams to go through before I buy any new ones, but I would repurchase this one. 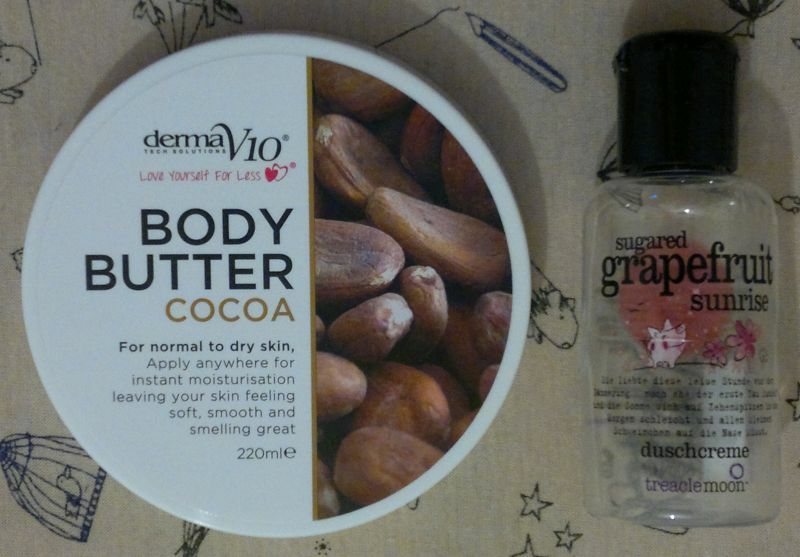 12 Derma V10 Cocoa Body Butter – this is a great little body butter. I will repurchase it. 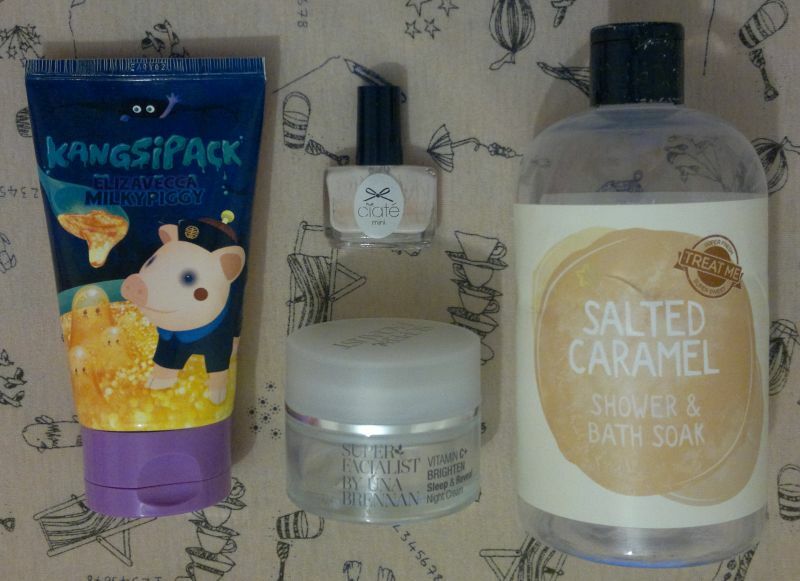 13 Treacle Moon Sugared Grapefruit Sunrise – I didn’t like this shower gel at all. It didn’t smell pleasant. February has been another good month for empties. 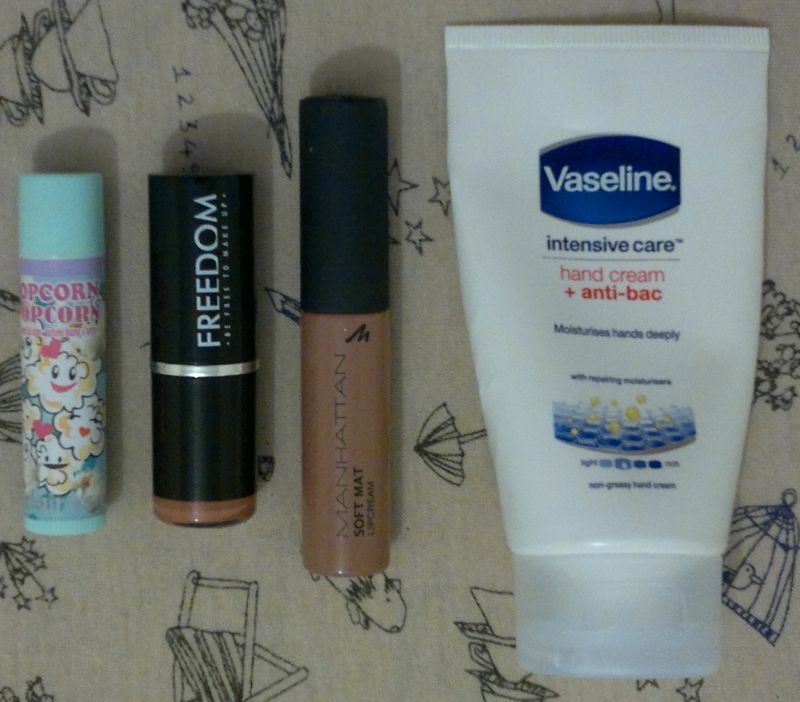 I’m proud of myself for finishing 3 lip products – I’ve never managed to do this before, and I think it’s been a year since I finished my last lipstick or lip balm! 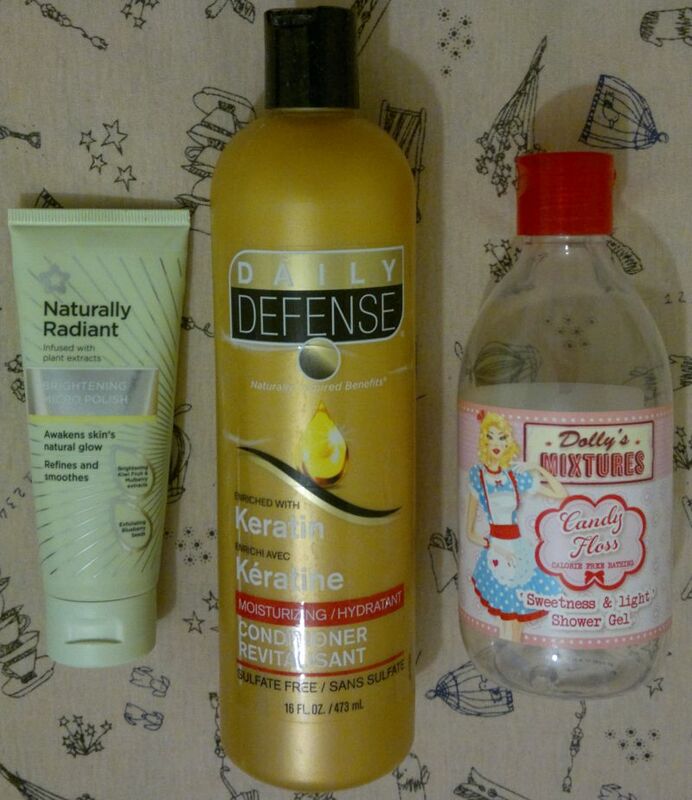 Which products have you said goodbye to recently? Feel free to get in touch via the comments. And thanks for stopping by! 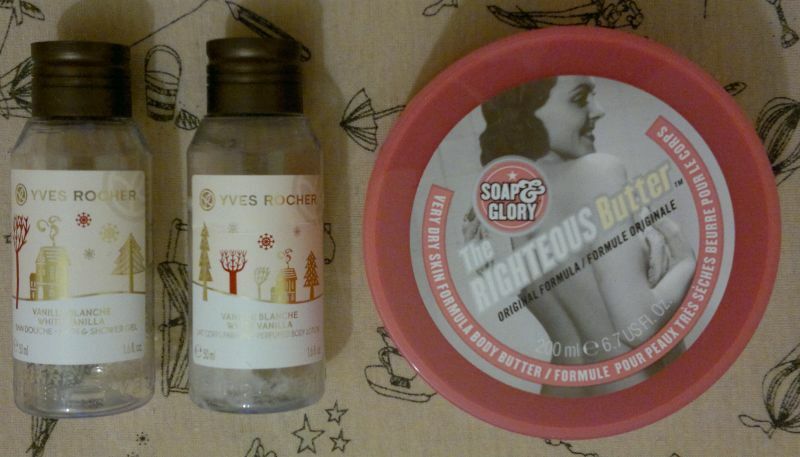 On Tuesday I reviewed a facial cleanser. Click here to read the post. 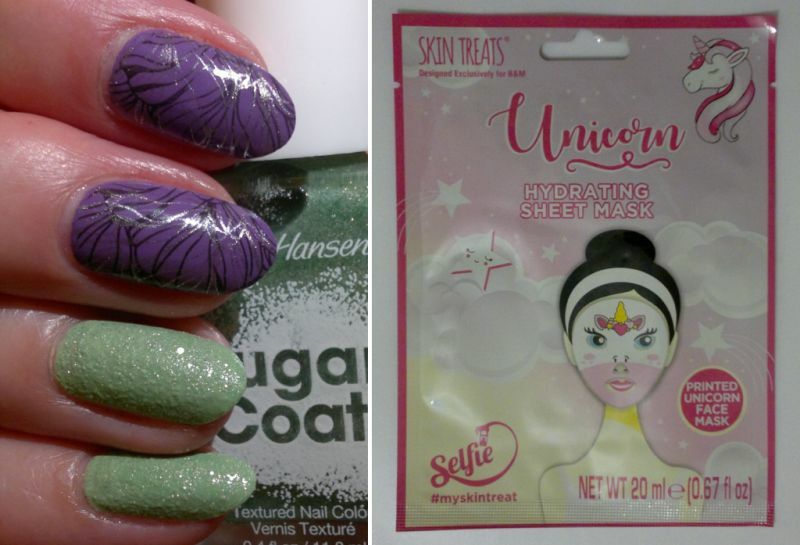 On Wednesday I reviewed 2 unicorn-themed shower and bath products. Click here to read the post. 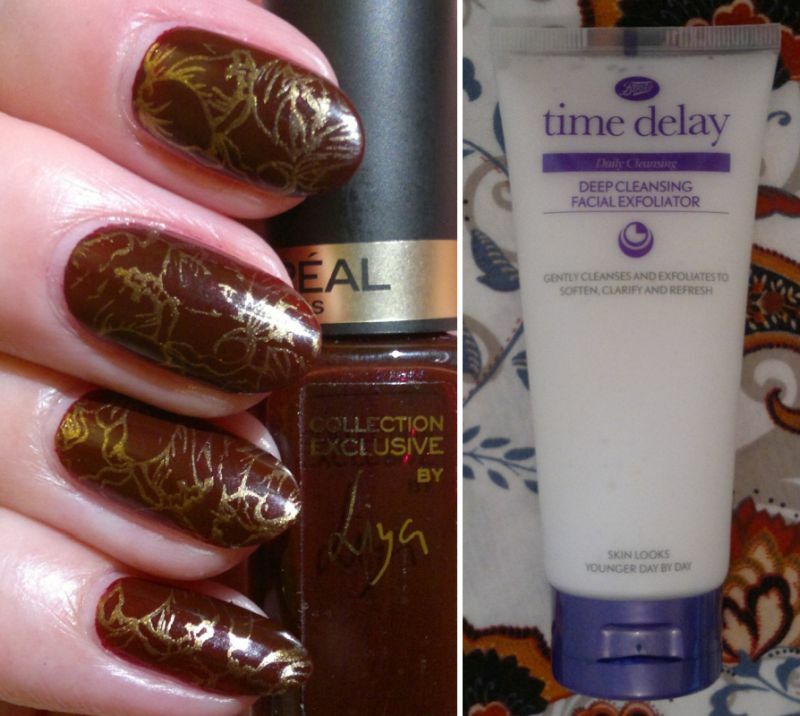 Thursday’s post was about all the products I loved the most in January. Click here to read the post. 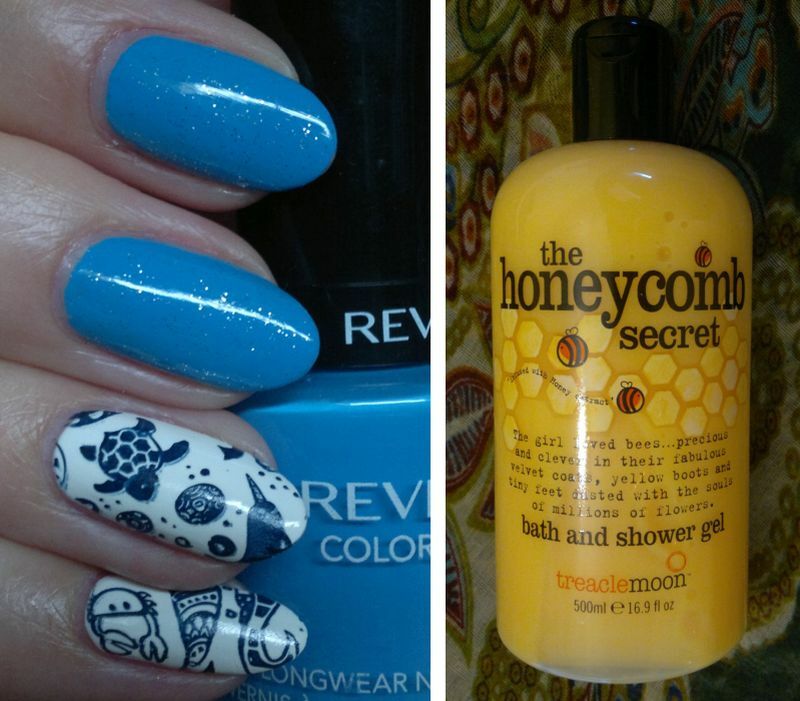 And on Friday I told you which products I emtied in January. Click here to read the post. 1 Elizavecca Gold CF Nest Collagen Jella Pack Mask – this stuff was terrible. Good riddance! 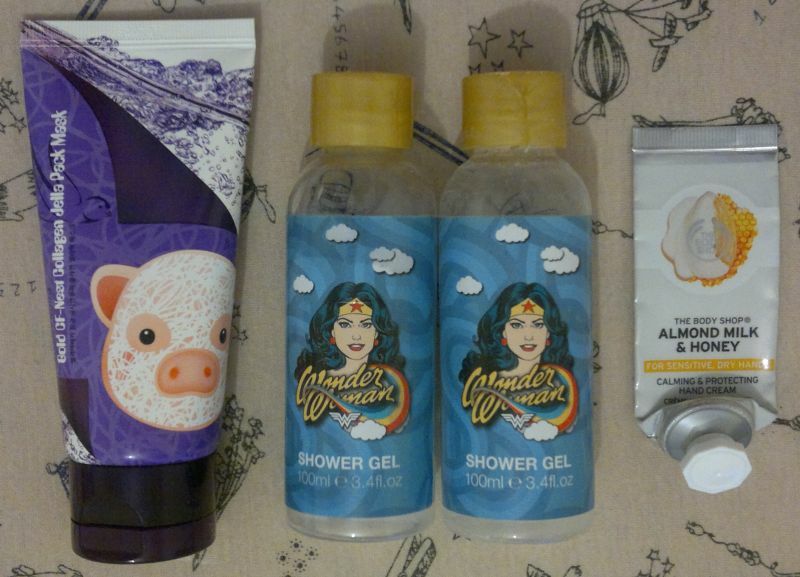 2 Wonder Woman Shower Gel (travel size, x2) – I did enjoy these. I would definitely pick up another Wonder Woman toiletries set in the future. 3 The Body Shop Almond Milk & Honey Calming & Protecting Hand Cream – this is a nice hand cream, but priced at £5 for 30ml it’s too expensive for what it is. I received this hand cream as part of a gift, but I wouldn’t buy it for myself. 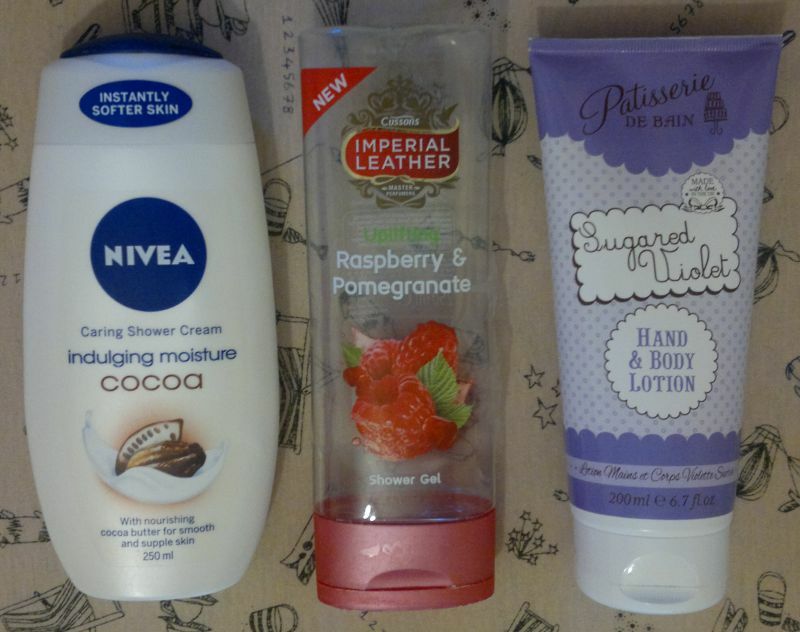 4 Nivea Indulging Moisture Cocoa Caring Shower Cream – my husband and I loved this shower cream, so this is a shared empty. I will repurchase it. 5 Imperial Leather Uplifting Raspberry & Pomegranate Shower Gel – this is a nice shower gel that, fortunately, doesn’t smell half as sweet as it sounds. I might buy it again. 6 Patisserie De Bain Sugared Violet Hand & Body Lotion – this is an average body lotion. It’s good for when you’re in a hurry because it absorbs quickly, but it’s not good enough for dry to very dry skin. I won’t repurchase it. 7 NSPA Orient – a lovely and unique fragrance that I enjoyed very much. 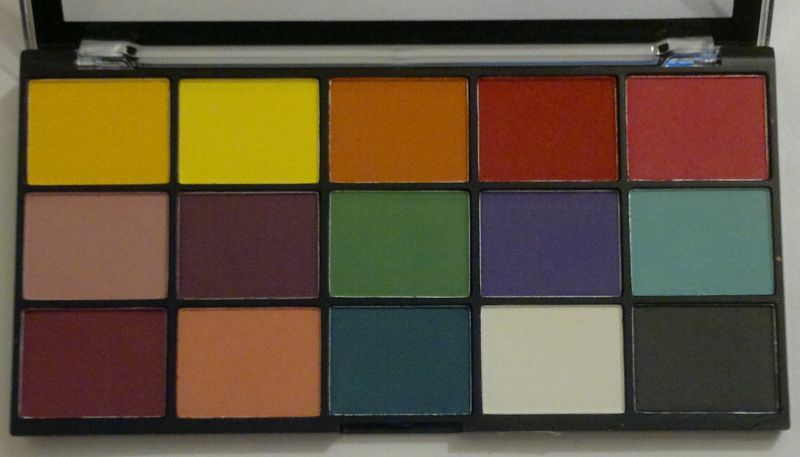 I’d love to buy it again, but it’s been discontinued. 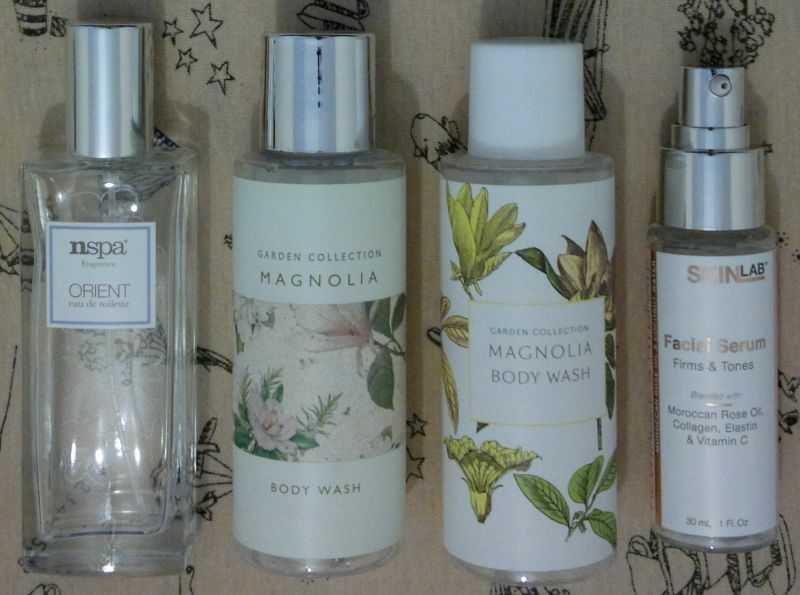 8 Boots Garden Collection Magnolia Body Wash (travel size, x2) – this is a lovely shower gel. 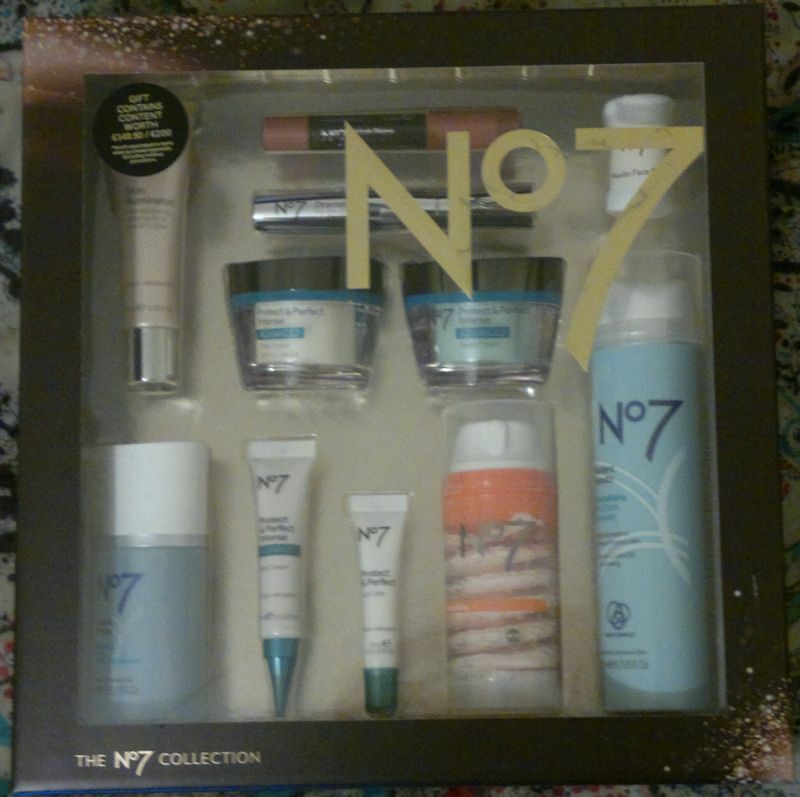 I hope Boots will bring back their Garden Collection at some point because I would love to buy the set again! 9 Skinlab Revitalise & Hydrate Facial Serum – this serum makes my skin glow! I would like to buy it again! 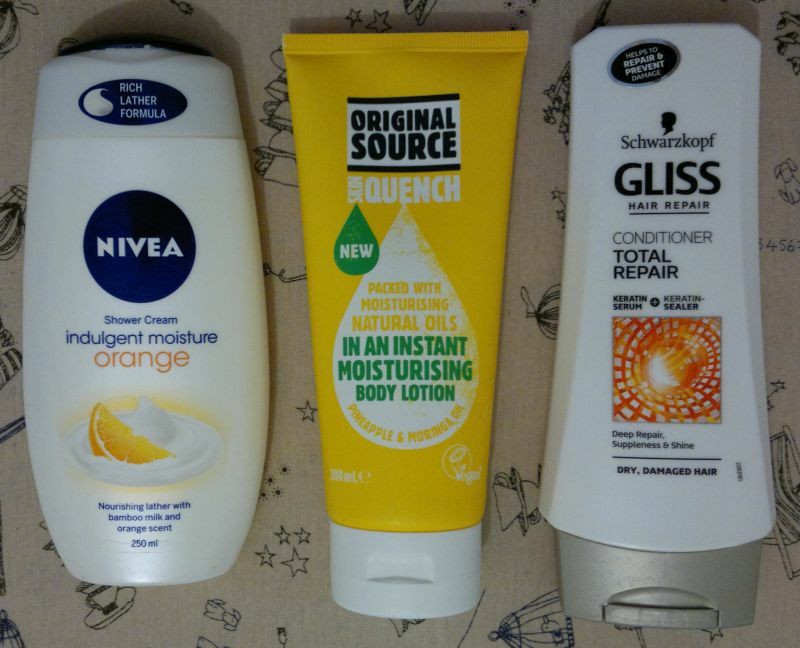 10 Nivea Indulgent Moisture Orange Shower Cream – I love it! I have another bottle or 2 in my stash. 11 Original Source Skin Quench Pineapple & Moringa Oil Body Lotion – this body lotion smelled terrible, so my husband and I used it as a foot lotion – and it actually did a great job. I wouldn’t buy it again, though. 12 Gliss Hair Repair Total Repair Conditioner – this is a lovely conditioner. I will repurchase it (and the matching shampoo), no doubt.